that gives you excellent results in a very short time. Why do you need FullSEO? FullSEO is a very profitable and beneficial investment. The "Return of investment" index for this client attracting method makes up over 700%. FullSEO is a powerful and functional tool that will get you to Google TOP. Launching and running the FullSEO campaign allows you to take and hold leading positions in your market segment, leaving your rivals far behind. Launch your own FullSEO campaign right now and be on your way to Google TOP! Editing of robots.txt and .htaccess files for correct website display in search engines. Sitemap file generation for complete indexing of the website pages. How do we make FullSEO? Right after registration our website analyzer will give you a brief report concerning your website’s correspondence with website building and SEO industry standards. Next, your personal Semalt manager together with senior SEO specialist runs a comprehensive semantic analysis of your website, its structure and semantic kernel. While they compose a list of errors that must be fixed, the SEO-engineer selects selling and traffic-generating keywords for your website. Your websites undergoes full internal optimization, including the steps mentioned in FullSEO. After being granted FTP access or access to your CMS admin panel our engineers make adjustments indicated in the report on your website, securing the success of your FullSEO campaign. External optimization: our SEO specialists begin manually placing links on the niche-related web resources relevant to your website content. Links placed are integrated into unique content, which allows achieving perfect results. 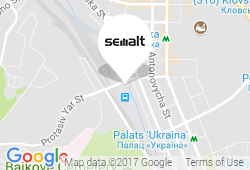 Semalt base has more than 50,000 high-quality partner sites on various niches subjects that are carefully selected according to domain age and Google Trust Rank. Your personal manager regularly monitors your FullSEO campaign, updating rankings of the promoted keyword’s list and providing you with detailed analytical reports, keeping you informed on the progress of your SEO campaign. You can reach your manager at any time of the day or night. We have special offer for webmasters and freelancers. You can run SEO campaigns for a third party through our service and get White Label Report for each one to send with your logo and from your name. Find clients and earn money without leaving home.